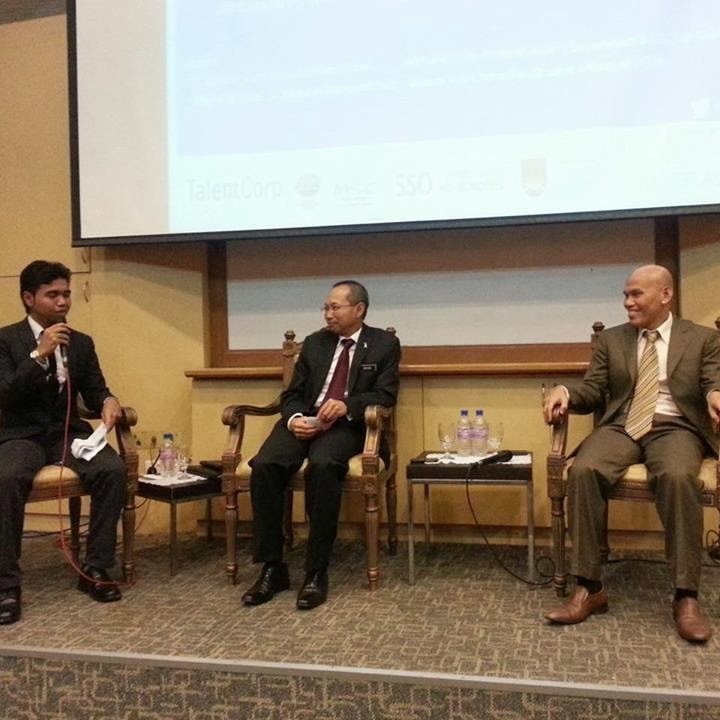 In conjunction with the 11 National Key Economic Areas (NKEAs), Talent Corporation Malaysia Sdn Berhad (TalentCorp) had hosted a Sector Focused Career Fair(SFCF) at University Teknologi MARA (UiTM) just two weekends ago, and it was a successful one! SFCF was officiated by Dato' Sri Abdul Wahid Bin Omar, the Minister of Prime Minister's Department. 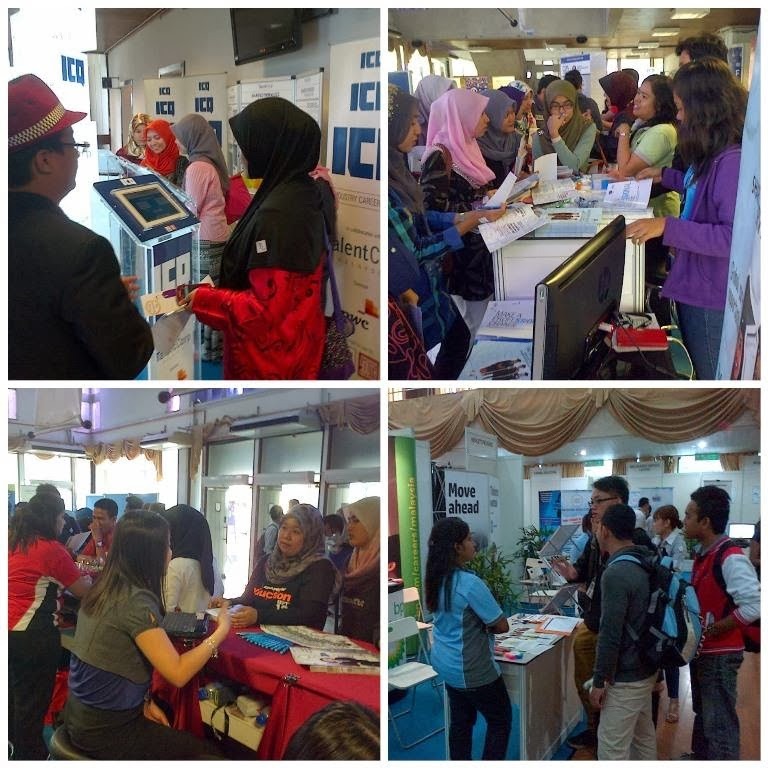 This Career Fair was a joint effort from TalentCorp, Graduan, MDeC and UiTM for the specific areas of Shared Services and Outsourcing (SSO). Let's get prep up for the fair! Career Talks and Couch Corner Slot are one of the activities conducted in the two-day event. Career Talk provided a platform for the young generations to communicate and engage with the well-known industry leaders and Couch Corner Slot was designed for the visitors of the fair, especially students, provide them a relaxing atmosphere while interacting with the companies. Dialogue session during the SFCF. "Formulating a more effective policies, developing programmes through outcome based approach, strengthening human capital towards elevating efficiency and professionalism, and establishing organisational capacities for effective services delivery can boost Malaysia's Socioeconomic development to a more strategic and sustainable manner. Different companies that are exhibiting in thie career fair for these two days are proof that the Shared Services and Outsourcing Industry can give Malaysia forward and economic growth can be achieved." said Dato' Sri Wahid during the dialogue session. SFCF UiTM are supported by over 30 prominent companies in the industry such as AIG, DHL, Electrolux, Frost & Sullivan, GlaxoSmithKline, HP, IBM, LaFarge, Sime Darby, PwC and more. SFCF has given an opportunity to the students, graduates as well as visitors to meet with the CEOs and senior HR representatives from various companies as well as for the companies to scout more local talents. 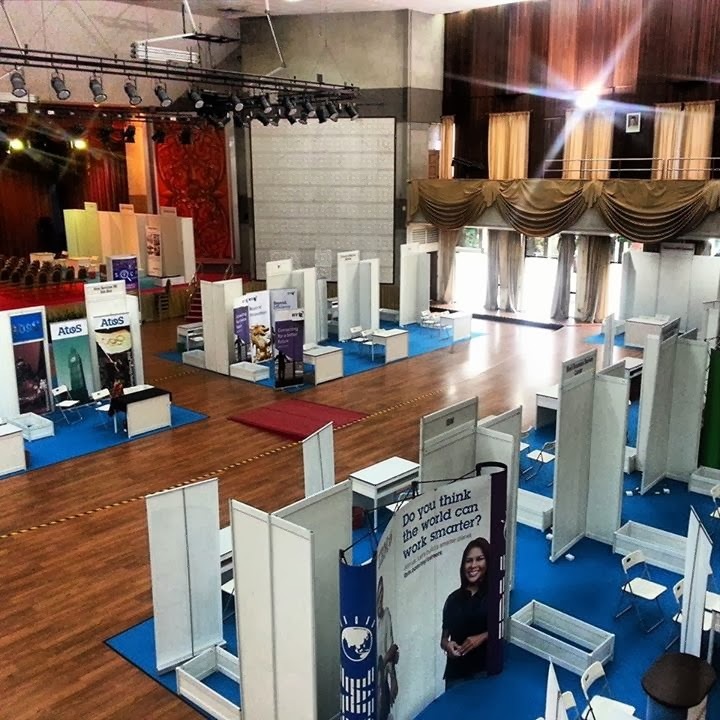 The visitors of the career fair gets a better understanding towards these developing sectors and the participating companies get to educate the public about their industry developments, sectoral branding as well as understandings towards the SSO sector.